The robbery took place at the Walgreens near Edina's Galleria. The Edina Police Department is offering a $3,000 reward for information leading to the arrest of three men involved in an armed robbery at a Walgreens store on Tuesday. The suspects, pictured above in still shots from surveillance footage, entered the Walgreens at 6975 York Avenue South in Edina at 4:52 a.m. Tuesday and used cable ties to subdue employees, threatening them with guns to the back of the store in the pharmacy area. One of the suspects was armed with two handguns. Possibly early to mid 20s in age, black male with a goatee, approximately 6 feet tall, weighing 160 pounds. He was wearing a light-colored hooded sweatshirt and sweatpants. Possibly early to mid 20s in age, black male, approximately 6 feet, 1 inch tall, weighing 180 pounds. He was wearing a grey hooded sweatshirt and had gold “grills” over his teeth. Possibly early to mid 20s in age, black male, approximately 5 feet 8 inches tall, weighing 140 pounds. 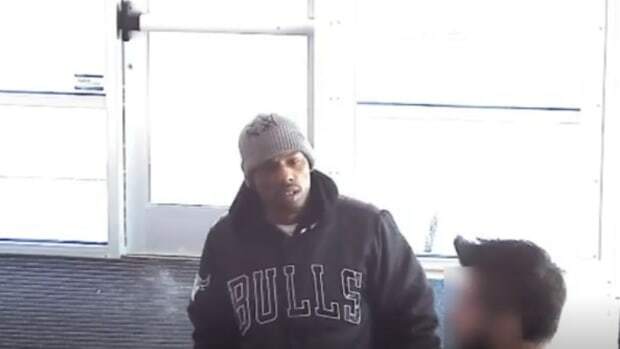 He was wearing a dark blue zip-up hooded sweatshirt with a black hat underneath his hood, black pants and had gold “grills” over his teeth. Anyone with information is asked to contact Edina police by calling 952-826-1600. All tips can be anonymous and calls are accepted any time of day. In an unrelated robbery, police in Duluth are asking for the public&apos;s help to identify two men who pointed a shotgun in a clerk&apos;s face earlier this week. The armed robbery took place just before 5 a.m. Tuesday. The suspect remains at large following the March 10 incident. Police want help to locate or identify the suspect. It happened Sunday evening in Duluth.